At James we understand holidays are a big deal. So it’s no surprise that there can be a lot of pressure to get it just right. That’s why we’ve gone out of our way to make choosing the ideal villa holiday as stress free as possible. All James villas are a James villa for a reason. We’ve handpicked over 3000 villas in more than 60 destinations that we are proud to put our name to. Whether you are looking for a taste of the villa lifestyle without breaking the bank, or the height of luxury for your holiday – finding the perfect home away from home couldn’t be easier. It’s just another little thing we take care of to make sure you focus on your BIG holiday! We have a wide choice of villas, but finding the one for you doesn't have to be a difficult. With locations to suit everyone ranging from amazing beach side breaks to scenic rural retreats, we offer a huge selection of villas apartments and townhouses that sleep from 2 to 20 people. We are continually expanding our destinations so we have your favourite or the one soon to be discovered. So explore our villas and discover the perfect backdrop for your next holiday. Your home from home, our Classic villas offer privacy, freedom and all the comforts you need for an amazing holiday. 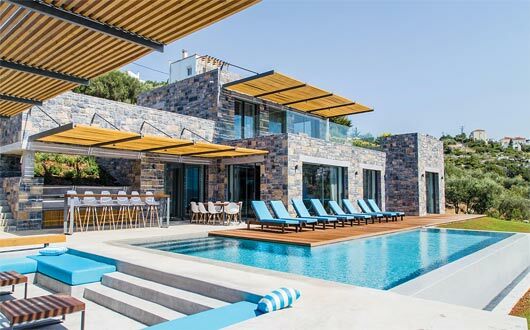 Cook up a feast on the barbecue or in your kitchen, splash around in your private pool or kick back on a sunlounger that's reserved just for you. All the little things are taken care of on a James villa holiday, leaving you to enjoy quality time with friends and loved ones. James Signature villas are designed to make your holiday special with their little added touches. Each property comes with the ‘wow’ factor and features that make our Signature villas sensational. Spectacular view? Ideal location? Beautiful gardens to stroll through? You’re in the driving seat, so you can decide which Signature style suits you. With every comfort taken care of and first-class facilities, these indulgent villas make a beautiful backdrop to a fantastic holiday. Large private swimming pool, plump towels and crisp linen, décor to die for and lavish surroundings - all absolutely necessary for experiencing the life of luxury on holiday with James. What could be more fabulous? We take care of the details so you don’t have to. We put all the little things in place - the little things that make your big holiday.